The simplest way of improving the airborne and impact sound performance of an existing timber floor is to overlay the floor with an isolating layer and a new wearing surface. 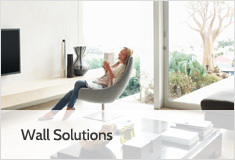 Monarfloor offers three deck overlay systems for such applications. 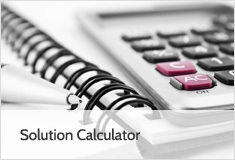 Monarfloor Deck 9 – designed for projects where the increase in floor level has to be kept to a minimum. Deck 9 consists of 8mm of LRAC foam bonded to 9mm thick moisture resistant MDF, giving an increase in floor level of only 17mm. 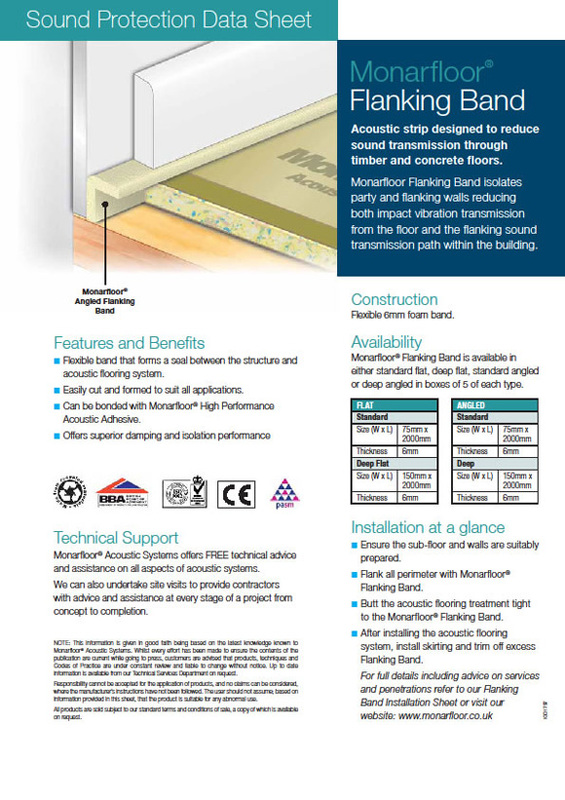 Monarfloor 9 deck is a floating floor system that used in conjunction with a resilient bar ceiling creates a system that will attain regulation E level of soundproofing. The flooring system must be laid over an existing sub floor and not direct to joists. 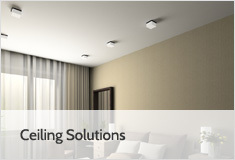 The installed system coupled with 100mm 45kg density mineral wool resilient bars and 2 layers of acoustic plaster board will give a system that should produce a 48 db airborne reduction coupled with 48 db impact sound reduction. Both these figures are generously within current regulation E building regulations. 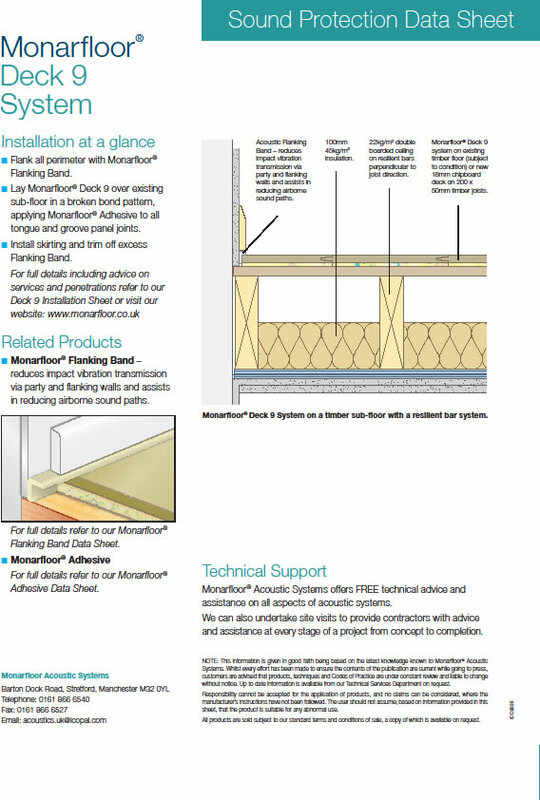 An Alternative product which you might consider is the monarfloor deck 18 system that is specified in projects where the increase in floor level is not critical, this is also a more ecnomoical solution. Deck 18 consists of 8mm of LRAC foam bonded to 18mm thick chipboard, giving an increase in floor level of 26mm. 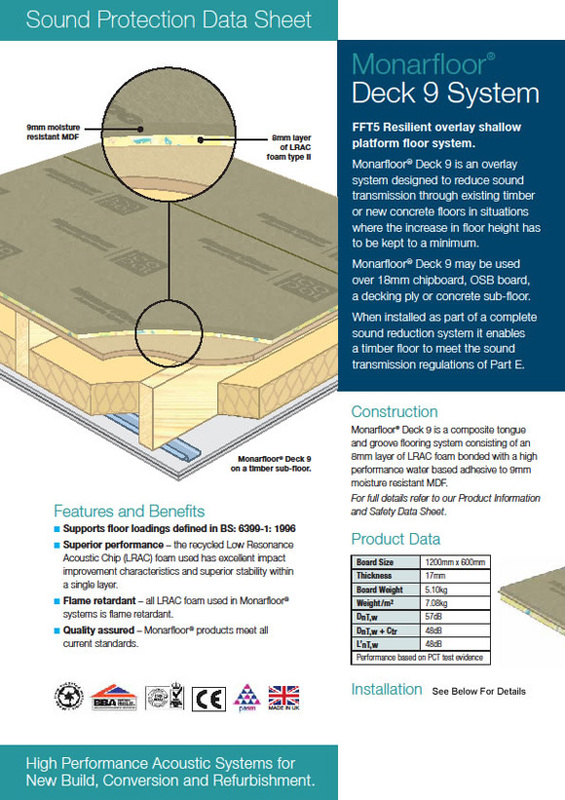 Monarfloor Deck overlay systems may be used in new build or refurbishment projects, over 18mm chipboard, OSB board or a decking ply sub floor. Monarfloor Deck overlay systems should be installed directly onto the sub-floor, in broken bond with all joints glued. Construction Monarfloor Deck system on 18mm chipboard deck on 200 x 50mm timber joists, 100mm 45kg/m³ insulation, 20kg/m² double boarded plasterboard ceiling on resilient bars perpendicular to joist direction.